It has been snowing hard this weekend in the Alps, finalising the summer time as the clocks turned. 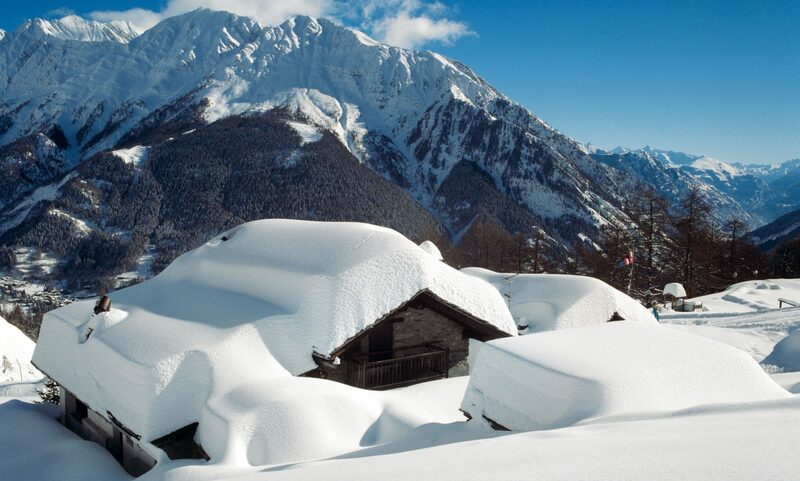 As per SWI – Swissinfo.ch – Arosa got over 70 cm and the Eastern Alps were affected in particular with snow in low altitudes. Parts of Graünden got 30 to 70 cm of snow at over 1,200 m over sea level. SRF Meteo photo – They caution that on Monday and Tuesday there are risks of large rainfall across some Alpine regions. SRF Meteo announces heavy rain from the Upper Valais over the Ticino to Southern Grisons. Arosa got the highest snowfall at 72 cm. Lenzerheide webcam – Bergfex cameras. Snow also fell down at 500 meters in some places, such as Zurich airport. But snow needs to fall at over 700 meters above sea level to stay. Southern Valais got 20-30 cm of powder snow and the Jura also got some snow, as you can see with these cows trying to find grass to eat. Cows trying to find the grass under the snow at the Vallée de Joux in Jura- Photo Keystone -Jean-Christophe Bott- Swiss.ch. WeathertoSki reported that there was lots of precipitation this weekend across the Alps, mixed with rain and snow from 600 meters up. Mostly the snow sat from 1000m to 1500 across the north-western half of the Alps, and between 1500 and 2500 across the south-eastern half. The ones getting the most snow at high altitude were Southern France and Southern Swiss Alps, were some places already have seen 50 and 100 cm above 2500m. The biggest snowstorms would be across the Southern Alps tonight and tomorrow. Stelvio Pass got a very big snowstorm, as you can see in this webcam. Stelvio Pass webcam 28 October. Ishcgl also got some snow overnight. Webcam of Ischgl – Pardatschgrat, 2,624 m. 28 Oct.
Webcam Ischgl Idalp at 2,320 m.
Webcam Crans-Montana- Plaine Morte 28 October. Cervinia got also its bit fare of snow and it has much more to come in the radar for the next 6 days. Webcam Valtourneche- Veduta da Salette- 2245 m- 28 October. Webcam Cervinia Area Plan Maison- 28 October. Webcam Col Chécrouit in Courmayeur – 2256 m. 28 October 2018. On the other side of the Mont Blanc, Chamonix also got a bit of snow. Webcam Mer de Glace 1912 m. 28 October. Going south, in Courchevel, you can see snow as well. Courchevel 1,850 m – 28 October. Featured Image: Photo – Adrian- Unsplash.